The Mason County Health Department participates in bird collections initiated by the Illinois Department of Public Health. The birds that are collected are tested for West Nile Virus. The purpose of the surveillance is to monitor the spread of the virus through the reservoir host. We cannot have a successful bird collection program without the help of Mason County citizens. We rely on your reports of dead birds in order to meet submission quotas. 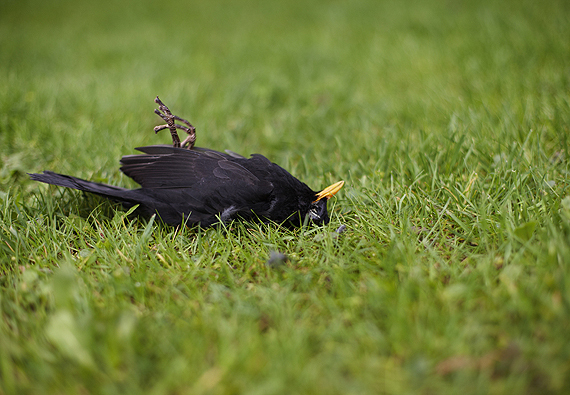 If you find a dead bird, please contact MCHD to submit the bird for testing. Is the bird in good condition? We are only allowed to submit birds that are less than 48 hours old. There can be no signs of decay (maggots or deflated eyes). Are there any windows nearby that the bird could have run in to? Is the bird beside a road where a car could have hit it? Are all the parts of the bird intact? Does it look like a dog or cat could have killed it? Have you turned in any birds from this location this year? We are only allowed to send in so many birds for testing. If you have already submitted a bird, we would need to get a sample from a different area of the county in order to show an accurate representation of the spread of the virus. Most bird species are eligible to be submitted for testing, however there are some exceptions. Pigeons, ducks, geese, chickens, large birds (vultures), and endangered species are prohibited from being submitted. If you find a bird that is eligible please contact the MCHD EH staff. We will come to your location and collect the dead bird.